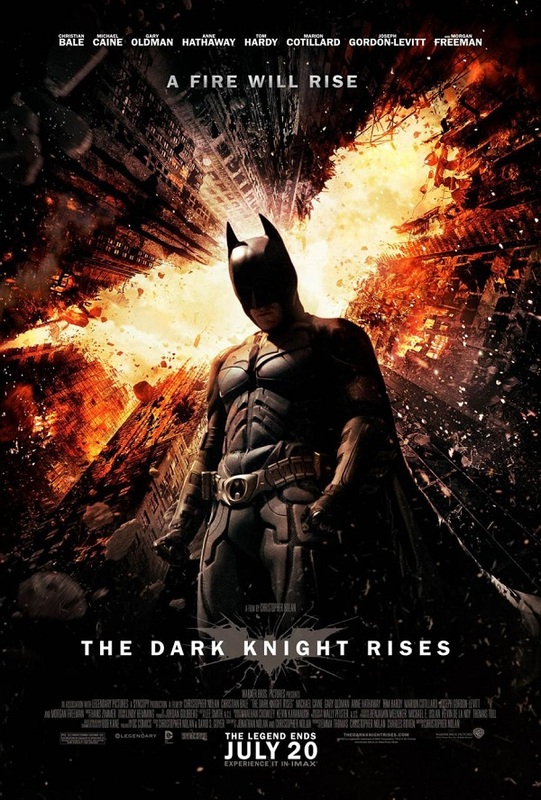 I have seen a lot of Batman movies in my day, and after at least 6 different versions and variations throughout the years, I must say that I was quite excited for this one. Unfortunately, in the all-time franchise rankings, I’d put this one dead last. This was the worst acted film I have seen in a long time, let alone when it’s ranked just amongst its brethren. I think the days of Adam West’s “Pow! Bam! Boom!” would put this to shame. I’ve also never seen a movie that was almost 3 hours long yet felt so hurried and rushed. I could literally see director Chris Nolan in the editing room screaming, “Cut it together closer”! It was almost embarrassing how bad they tried to cram too much into a single film. The worst part was that there were at least a couple side story lines that could have been easily cut, which would have left us with a decent 2-hour film (and saved me 2 mid-movie pee breaks). I’ve read some of the glowing reviews for The Dark Knight Rises and it leads me to only one conclusion: they were all written by men over 30 years of age that have Batman action figures in their original packaging on display in their homes (aka their mom’s basements). I just simply cannot understand how anyone who actually enjoys and appreciates good movies can think this was anything other than a “paycheck film”. Christian Bale should be ashamed of himself for his performance. Only Anne Hathaway stood out with a decent performance, except her role was essentially useless in the film other than setting up a renewed franchise. Joseph Gordon-Levitt who plays the cop that knows Batman’s true identity turned in what could have been the worst acting performance of all-time. The dialogue was stale, predictable, and cheesy. As if it wasn’t bad enough, they did a nice (re: terrible) job of setting up the franchise for at least two additional spinoff films. Why not milk the cash cow a little further since The Dark Knight Rises made a mockery at anything that could be construed as filmmakers’ pride. To me this film was all wrong from the jump. It starts with a physically broken down Bruce Wayne whose body has finally given out on him. Call me nostalgic, but I don’t need to see a crippled Batman when I go to see him on the big screen. It makes me feel old and I’d prefer to think that through the last 50 years Batman doesn’t age, he just gets replaced. He’s a recluse again and it takes a woman to make him come out of hiding. I suppose this could have been Catwoman’s overall purpose of being in the film, but otherwise she was useless. Batman comes out to take on a new villain (Bane) that is fairly one-dimensional in that he’s kind of just a ‘roided out tough guy with a facemask. I also couldn’t take the dude seriously since every time he spoke I couldn’t get Sean Connery out of my head. It was like Darth Vader and Connery had a love child, and he was rasied and trained by Brock Lesnar his whole life. That is Bane in a nutshell. An even bigger disappointment is that we eventually learn he’s not even the bad guy we should have been worried about. On the positive side, the film isn’t boring. But unless you can hold your bladder for 3 straight hours (unlike me) you’re bound to miss something. That’s how overstuffed the movie is with dialogue and new plot twists at every turn. It would have been nice to mix in an establishing shot here and there or maybe a brief moment of reflection for any of the characters. [SPOILER ALERT] Instead, we’re left to wonder how and why Bruce Wayne manages to get in a clean shave and graffiti his call sign on a building while Gotham is a mere few hours from being blown into oblivion. If you’ve never heard the term “jump cut” in filmmaking, Google it and watch this film as the best lesson in what not to do. It may have been all the hype that led me to this disappointing review, but whatever the reason, it was well deserved. I’m not saying you will completely hate it, I’m just saying it’s not worth 3 hours of your time. I wish they fought temptation to be everything to everyone in this installment. They should have focused on the good storylines, developed a better bad guy, and reduced the clutter. The action and special effects were on point, but that was also the case in The Expendables and I don’t hear anyone raving about that one (including me). Maybe with significant improvements in the acting department, a little less dialogue, an hour of film shaved off, and some better directing/editing and this thing could have been decent. Instead it’s a just another painful reminder of a franchise not knowing when to quit. Interesting Cameo Appearance: Daniel Sunjata (better known as Franco Rivera, the tough guy firefighter in Rescue Me, and Reggie Jackson from the TV Miniseries, The Bronx Is Burning) as Captain Jones, a special ops soldier trying to gather intel and rescue Gotham from the uprising created by Bane. Bane: Calm down, Doctor! Now’s not the time for fear. That comes later. Alfred: You are as precious to me as you were to your own mother and father. I swore to them that I would protect you, and I haven’t. Jim Gordon: I knew Harvey Dent. I was his friend. And it will be a very long time before someone… Inspires us the way he did. I believed in Harvey Dent. Bruce Wayne: You sound like you’re looking forward to it. Lucius Fox: This conversation used to end with an unusual request. Lucius Fox: Well let me show you some stuff anyway. Just for old time’s sake. Doctor: I’ve seen worse cartilage in knees. Doctor: No, that’s because there is no cartilage in your knee. Scar tissue on your kidneys. Concussive damage to your brain tissue. I can not recommend that you go heliskiing. Bane: When Gotham is ashes… then you have my permission to die.